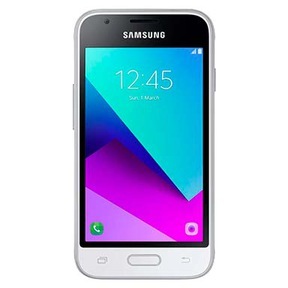 The Samsung Galaxy J1 mini prime, also called the Samsung Galaxy J1 Mini Prime (2016) and Samsung Galaxy V2 was an affordable smartphone launched back in December 2016. In its price range, the Samsung Galaxy J1 mini prime was an ideal fit for those who wanted to own a smartphone but had a very low budget. The Samsung Galaxy J1 mini prime came with all common features you would expect in a budget phone. It had a 4.0 inches TFT capacitive touchscreen display with the 480 x 800 resolution. The phone featured a VGA selfie camera and a 5 MP camera on its back, capable of recording 720p videos at 30fps. The Samsung Galaxy J1 mini prime housed a Spreadtrum SC9830 quad-core chipset and 1 GB RAM. Although the phone only had 8 GB as internal storage, it had a dedicated microSD slot capable of supporting cards up to 256 GB. Are you planning to sell your old Samsung Galaxy J1 mini prime for some quick cash? Cashify can help you with this and assures that you will get a fair amount for your phone. Why Sell Your Old Samsung Galaxy J1 mini prime On Cashify? Cashify is the ideal place where you can not only sell old phone but other gadgets as well. It provides a relaxing experience of selling a used phone and other gadgets without needing to step out of your home. Cashify has partnered with top smartphone makers in the market, such as Xiaomi, Apple, Samsung, OnePlus and Vivo to enable smartphone exchanges. 1. Once you've confirmed the model of your phone, Cashify will need you to answer some simple questions about your phone’s age, condition, warrant, bill, and some other stuff. Make sure you answer these question accurately. 2. Cashify’s automated pricing system will generate the best price for your phone based on your answers. Cashify will send one of its agents at your doorstep in order to collect the phone, allowing you to sell your old phone right from the comfort of your home. 3. On arrival, the Cashify agent will inspect the device to ensure it matches with the description provided by you on the website. After the inspection, the agent will instantly make the payment in cash, bank transfer or in e-wallets such as PayTM. Although the Samsung Galaxy J1 mini prime was an ideal budget phone at the time of its launch, it feels obsolete in terms of efficiently running the latest Android versions and applications. There are more advanced and feature-rich affordable phones available in the market.